The goal of the research project is to point out the relevance of the concept of intersubjectivity in Cassirer’s philosophy of culture, starting from Cassirer’s main work “The Philosophy of Symbolic Forms”. According to Cassirer, culture is characterized as a system of different symbolic forms of expression, such as: mythical thinking, language, art, history, technique and science. The symbolic forms are systems of signs by which experience is interpreted and by which meaning is expressed. The symbolic forms are also defined by Cassirer as different modalities of “objectifying” experience. They are tools by which human beings constitute reality in different phenomenological levels. Since each symbolic form presupposes a specific interpreting activity, Cassirer’s philosophy of culture also require a specific notion of subjectivity. The symbolic forms always show a polarity between objectivity and subjectivity, that is to say, a relationship between the system of symbolic forms, as a system of shared over individual meanings, and the subject, as center of interpreting symbolic activity. The first problem leads to the question of culture as objective spirit, which also characterizes different traditions of the German philosophy from Humboldt and Hegel, to the Lebensphilosophie and the Völkerspyschologie, which are directly discussed by Cassirer himself. The second problem is the question of the transcendental subject, as centre of cognitive activity, and of its capacity of constituting meaning, question which has its root in the philosophy of Kant. The philosophy of symbolic forms brings both the two perspectives together and gives therefore the possibility to face central questions such as: the social character of human cognition, the conditions of possibility of intersubjective communication and the relationship between the collective dimension of culture and human subjectivity. My research aims to analyze the single forms of symbolic expression and to emphasize the different notions of inter-subjectivity which they involve. The central thesis is that the intersubjective character of the symbolic forms must be found in the possibility of constituting a space for meaningful interaction. Cassirer’s conception of symbol leads to an integration between cognition and culture and offers a theory of intersubjectivity which also enables to open new perspectives within contemporary debates on social cognition. Elio Antonucci studied philosophy and history at the University of Bologna. He graduated in November 2013 (B.A.) with a thesis in philosophy of science, with the title “The Limits of scientific representation: the hypothesis of structural empiricism between Cassirer, Weyl and Van Fraassen”, written under the supervision of Prof. Rossella Lupacchini. From March 2014 to September 2014 he was enrolled at Gutenberg Universität Mainz, joining the Erasmus exchange programme. From May 2015 to July 2015 he taught ethic and Italian language at Wilhelm Erb Gymnasium in Winnweiler (Keiserslautern), as part of the Erasmus Placement programme. He graduated (M.A.) on March 2016, defending a thesis with the title: “Thought as symbolic process: a comparative study on Charles Peirce and Ernst Cassirer”, written under the supervision of Prof. Costantino Marmo, Dott. Francesco Bellucci and Dott. Tullio Viola. On October 2016 he was granted a scholarship by a.r.t.e.s. Graduate School for the Humanities Cologne for the preparation of a doctoral dissertation. 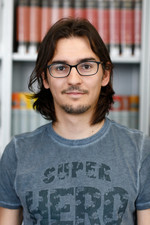 Since March 2017 he is part of the Integrated Track model and he works on his doctoral dissertation under the supervision of Prof. Thiemo Breyer. His main philosophical interests are Neo-Kantianism, Pragmatism and the relationship between semiotics and cognition. An den Grenzen der Symbolisierung: Eine vergleichende Studie zu der dreikategorialen Phänomenologie von Peirce und Cassirer, in: Breyer, T. & Niklas, S. (ed.) (2018): Ernst Cassirer in systematischen Beziehungen. Zur kritisch-kommunikativen Bedeutung seiner Kulturphilosophie (Sonderband der Deutschen Zeitschrift für Philosophie). Berlin/Boston: de Gruyter. 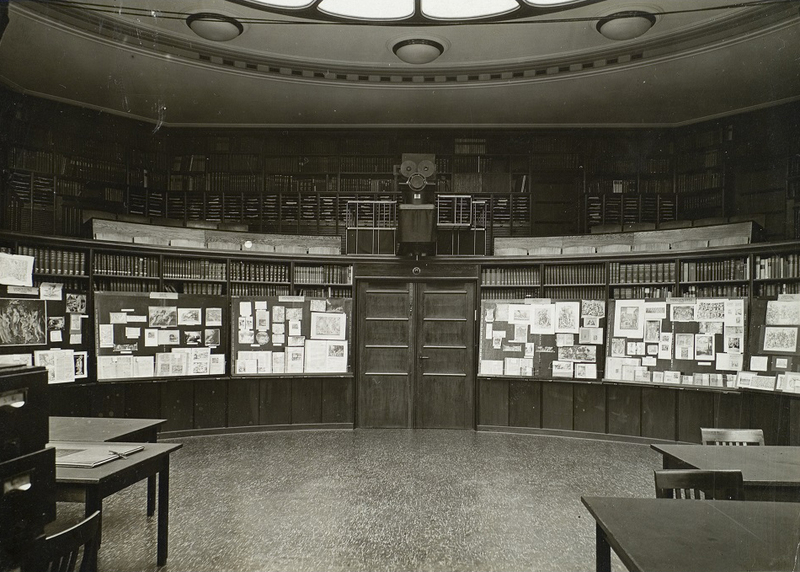 “Space as a semantic tool: The concept of space in Ernst Cassirer’s philosophy of culture”, September 18, 2018, III Cambridge University AHRC DTP Conference “Space and Surface”, University of Cambridge. “Meaningful Activities: Rituals and Symbolic Behavior According to Cassirer”, November 17, 2017, International Workshop “Subject, Character, Habit”, a.r.t.e.s. Graduate School for the Humanities Cologne. “Extending Cognition with Symbols: a Comparison between the Extended Cognition Paradigm and Ernst Cassirer’s Philosophy of Symbolic Forms”, September 20, 2017, Cologne Summer School of Interdisciplinary Anthropology (CSIA): The Phenomenality of Material Things: Praxis – Genesis – Cognition: III Cognition, Cologne.